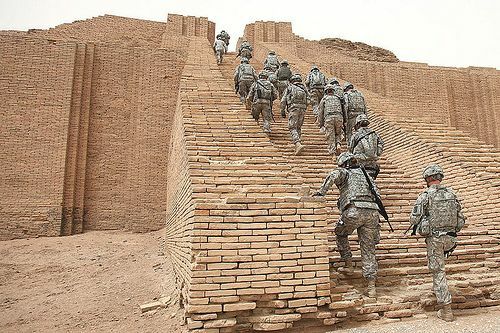 US Soldiers from the 17th Fires Brigade make their way up the stairs of the 4,000-year-old Ziggurat of Ur, Iraq, near Contingency Operating Base Adder, on May 18, 2010. Photo via the US Army by Spc. Samantha Ciaramitaro.